Newsletters don’t have to be boring! 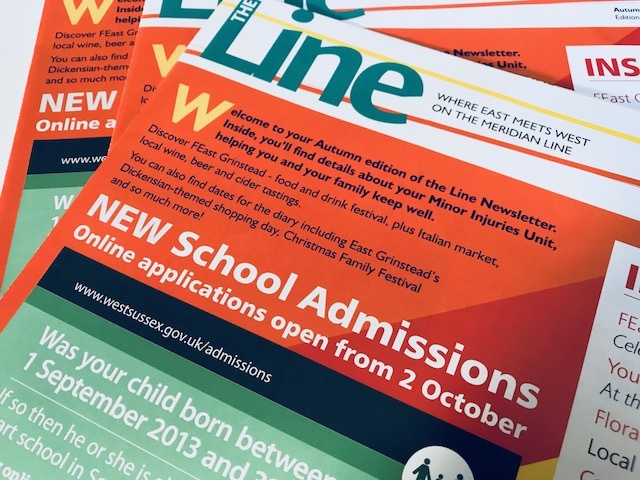 We design and produce the quarterly newsletter for East Grinstead Town Council, adding a bit of pizzazz and colour every time. If there is a community project, regular newsletter or one-off mailshot you would like our help with, contact us today on 01293 773085!